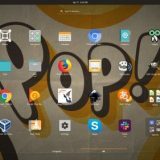 On this page you will find the most popular remote desktop software for Ubuntu that will allow you to connect to Windows 10, Windows 7, Windows 8/Vista/XP and Apple’s MacOs, for free. 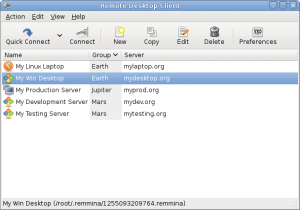 The term remote desktop refers to a software or operating system feature that allows a personal computer’s desktop environment to be run remotely on one system, but the concept applies equally to a server. Remote access can also be explained as remote control of a computer by using another device connected via the internet or another network. 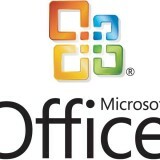 This is widely used by many computer manufacturers and large businesses’ help desks for technical troubleshooting of their customers’ problems. There are various professional first-party, third-party, open source, and freeware remote desktop applications, some of which are cross-platform across various versions of Windows, Mac OS X, UNIX, and Linux. Remmina supports multiple network protocols in an integrated and consistent user interface. Currently RDP, VNC, NX, XDMCP and SSH are supported. 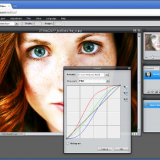 RealVNC remote access software for desktop and mobile platforms. VNC enables you to remotely access and control your devices wherever you are in the world, whenever you need to. VNC has a widespread user base — from individuals to the world’s largest multi-national companies — utilizing the technology for a range of applications. 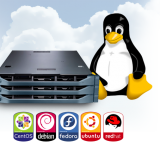 KRDC is a client application that allows you to view or even control the desktop session on another machine that is running a compatible server. VNC and RDP is supported. 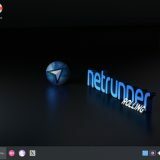 There are plenty of settings for the client itself – you get the choice of high-, medium- or low-speed connections, and the software works out which features to use from there. 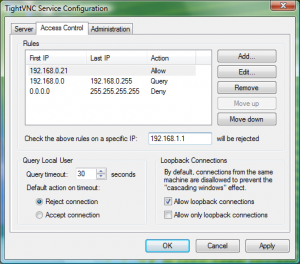 Using Krdc was trouble-free, and it also supports the RDP protocols used for Windows remote access. If someone adds an NX plugin, it could become even more useful. 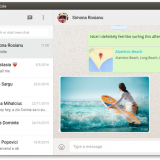 If you run KDE and need an occasional VNC client, there’s no compelling reason to change. NoMachine version 4.0 has many key features. 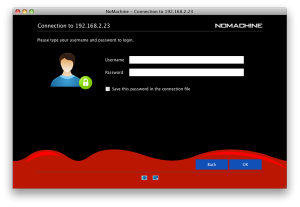 When you connected to NoMachine-enabled computer, you can work with any content such as documents, music, videos, as if you were in front of your computer. 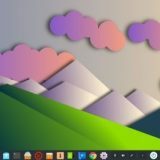 You can also have the same desktop environment from where ever you are connected. 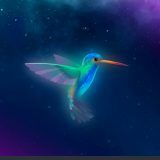 Next story What Is Ubuntu TV – How Much Will It Cost?